It’s all good, man! 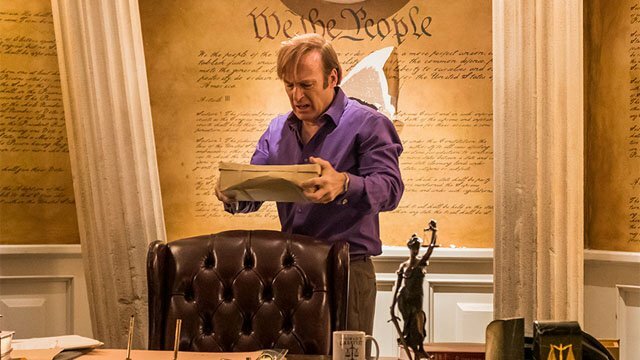 Better Call Saul is creeping up on the events of Breaking Bad. In last week’s episode, Jimmy found gainful employment as a cellphone salesman. He also realized that there was huge potential by selling burner phones to criminals. 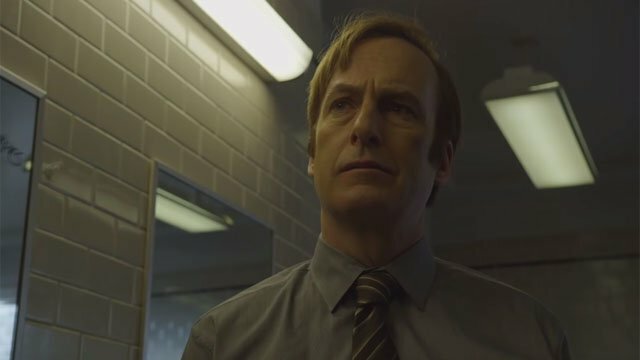 Now, Better Call Saul season 4 episode 5 picks up several years later with Jimmy as Saul Goodman, in his frantic final minutes as a lawyer. Welcome back, Saul Goodman! And goodbye! For the first time since Better Call Saul began, we saw Jimmy as Saul during the events of Breaking Bad. More specifically, this appears to pick up during the events of “Ozymandias.” Jimmy and Francesca frantically destroyed evidence of his criminal malfeasance. Jimmy was also forced to bribe Francesca to get one last favor. Before leaving his old life behind, Jimmy retrieved his box of videos and arranged for his own disappearance. Within the present of the show, Jimmy’s “privacy sold here” pitch found its first mark, and a new con was born. Kim not only ignored the judge’s warning in last week’s episode, she willingly took on pro bono cases at the courthouse. Kim’s expertise allowed her to strike a plea deal for one client that nearly eliminated his sentence. However, Kim became too attached to her new side gig. When Mesa Verde needed Kim to address a legal issue, she blew off Paige to focus on her client. Paige later confronted Kim and expressed anger over the incident, before warning Kim that it could never happen again. 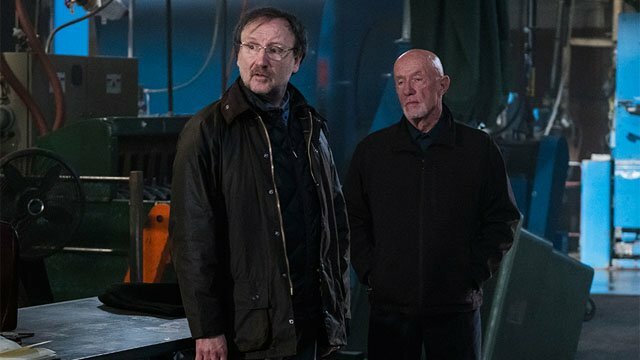 Mike’s new job for Gus entailed sneaking structural engineers into the industrial laundromat to build the super lab, one of Breaking Bad‘s most iconic locations. Gus and Mike went to great lengths to ensure that the candidates had no idea where they were. The first candidate offered an unrealistic assessment of the super lab and he was promptly dismissed. However, Werner Ziegler appeared to grasp the challenges ahead. Gus was so impressed by Werner’s take on the project that he emerged from the shadows and introduced himself. Flush from his success at the store, Jimmy fled from a night in with Kim to start a new scam. He purchased several burner phones from his store after hours before hitting the streets. Jimmy used his natural gifts as a salesman to sell the phones directly to criminals. He pushed his luck by selling his last phones to bikers. However, misfortune caught up with Jimmy when he was mugged by three young punks who previously rejected his pitch. Back home with Kim, Jimmy was so despondent that he actually agreed to see the shrink she suggested. A chance encounter at the courthouse with Howard changed Jimmy’s mind. Howard looked so haunted by his guilt over Chuck’s demise that Jimmy offered him the psychiatrist’s number. To Jimmy’s surprise, Howard said that he was already getting professional help. Disturbed by the encounter, Jimmy tore up the phone number and told his court clerk that he would be a lawyer again when his sentence is finished. He also vowed that people would know about it. 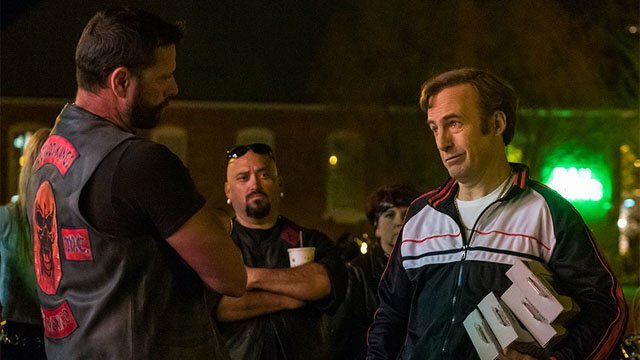 What did you think about Better Call Saul Season 4 episode 5? Let us know in the comment section below! 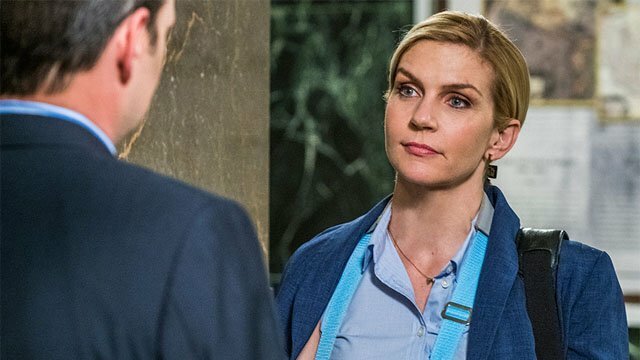 The post Better Call Saul Season 4 Episode 5 Recap appeared first on ComingSoon.net.